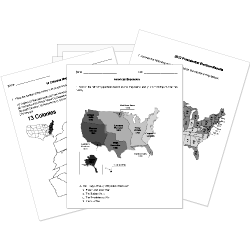 You can create printable tests and worksheets from these Grade 1 Ancient History questions! Select one or more questions using the checkboxes above each question. Then click the add selected questions to a test button before moving to another page. King Tut is a nickname we have for what ancient Egyptian Pharaoh? Who created the first written laws? What were made to help the people of Mesopotamia be good? The world's first written story was about who? Mesopotamia was between two rivers. What were those two rivers called? The region of Mesopotamia was between which two rivers? Which king of Mesopotamia instituted a code of laws for his people to live by? Which Pharaoh was a woman? Which of the following was not made by the ancient Egyptians? What technology does not belong in the present time? Before ovens and stoves, how did people cook food? How long did it take to build the Wall of China? The Maya were the first to use which number?